My morning sickness is 90% gone. Woot woot! I have some food aversions but I can eat now…so I won’t complain. Now that the idea of eating isn’t repulsive to me, my eyes get glassy while flipping through food magazines or browsing food blogs. 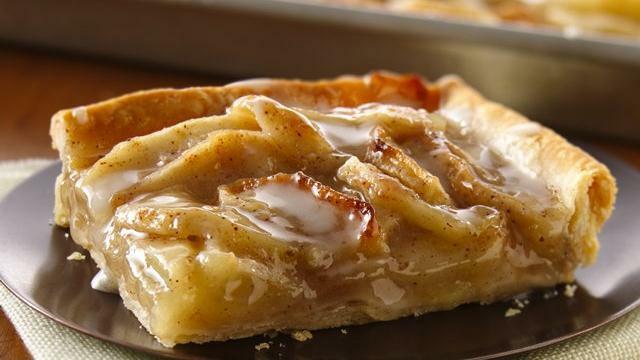 Am I the only person who has never heard of an apple slab pie? I’m making one of these for July 4th! I’m not eating this pizza while pregnant, but I’ve used this recipe before. The Boy likes spicy food so we used hot Italian sausage. No alterations are needed. I love The Pioneer Woman. I want to be her neighbor/best friend. 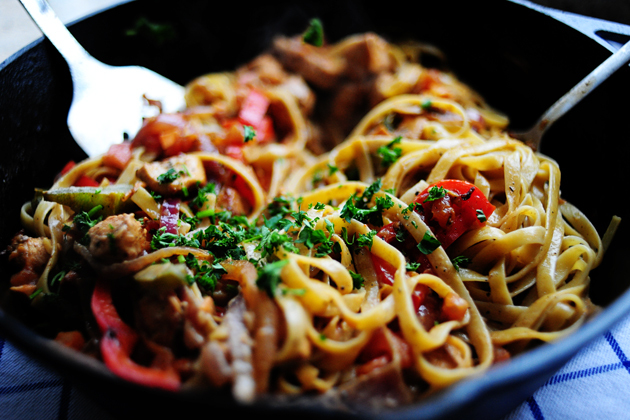 I made this awesome Cajun Chicken Pasta a few weeks ago. I was only able to eat it once before morning sickness kicked in, but that serving was delicious! I found it to be spicy so be careful with the cayenne pepper. Congrats on the bambino! I am so excited for you! I too love the Pioneer Woman, she is phenomenal! One of the benefits of being pregnant is that you get to eat and get bigger with out being depressed about it. So eat and enjoy and watch my belly grow.